Although Vietnam is now a big exporting source in the world with the big annual emissions of rice husk, we still cannot operate a thermal power station due to the problems with packing, transporting and gathering rice husks, and that is what the Vietnam Ministry of Industry and Trade are studying and planning to propose solutions to. Many countries have successfully building thermal power stations using rice husks, such as Thailand with two stations in Nakornrachasim and Pathum Thani Province, Cambodia and Malaysia, each has one station. They, therefore, can not only save the non-renewable fossil fuel resources but also eliminate pollution. Vietnam is now a big exporting country in the world with the annual emissions up to 7.5 to 8 million tons of rice husks, but only 3 over 4.5 million tons gathered together in the main crop are used for cooking or making pressed wood or plank. 1.5 million tons left, which can be used as fuel in thermal power station and generate up to 1 to 1.2 millions kWh per year, are discarded into canals and that causes pollution. According to Mr. Hironori Kawamura, an expert on renewable and biomass energy, also a representative of New Energy and Industrial Technology Development Organization (NEDO) of Japan in Southeast Asia, Vietnam has many favorable opportunities to develop thermal power using rice husks. 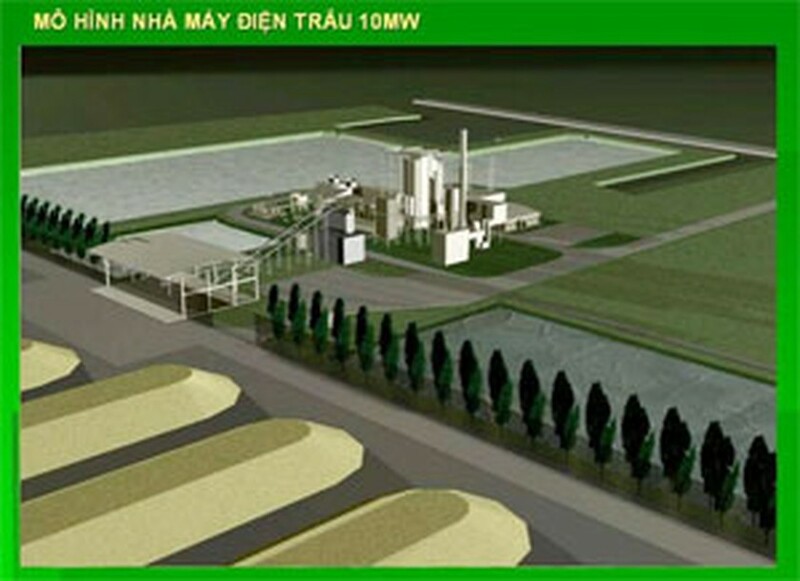 From many calculations and surveys, NEDO suggests three projects on thermal power using rice husks in Hoa An – An Giang, Cai Lay – Tien Giang and Tan An – Long An, with a capacity of 4 MW for each. Many experts also agree on the projects based on such factors as: the price of rice husks is quite cheap now, about 300VND per kilogram and the way of transporting 15 to 20 tons of goods using timber boats is popular. The Government is developing three experimental agricultural centers to support the rice markets in Long An, Tien Giang and An Giang Provinces. According to Dr. Tran Quang Cu, an Advisor of International Finance Corporation (IFC), developing rice husk energy encounters many difficulties, that is, difficulties in gathering a large number of rice husks, transporting them and ensuring the adequacy of rice husks as fuel resource for the whole year. It is apparent that we can take advantage of all small and dispersive sources of rice husks. In order to do that, we should create the husk-squeezers with appropriate capacity that can press rice husks into bars. It will be easier to transport and store rice husks in bar shape. The plants can gain initiative in taking fuel sources and stabilize the rice husk costs thanks to the long-term contracts with the providers. According to Mr. Le Tuan Phong, the Deputy Director of Vietnam Ministry of Industry and Trade, they are proposing the plan for renewable energy development. This plan is to create the motivation to invest on the thermal power stations using rice husks. The fuel resources now are possible, legal formalities of producing renewable and biomass energy is available, but both the domestic and foreign investors are still waiting for the funding, preferential electric cost to turn this potential into reality.